Here at Earn This, many of us are huge fans of Avatar: The Last Airbender. And we all agree: It’s the characters and their development that make this show great. Six of us sat down and each made a list of our ten favorite characters. The results were often quite varied, but several names showed up frequently on the ballots. We tallied up the votes and decided to share a few thoughts on why we love these characters so much. (To keep things simple, we decided to limit voting to characters in Avatar, not the follow-up show Korra, the spin-off comic books, or *cough* the M. Night Shyamalan movie). Patrick says: Suki is many things. She is Sokka’s first and last love. 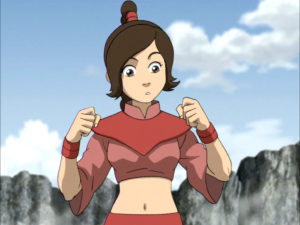 She is funny, clever, and one of the only non-bending characters who is able to contribute meaningfully in a fight. When looking at the series as a whole, it is easy to identify where the series changed from decent to great, and it happened after Suki reappeared. Most of the show’s first season was very episodic, with very little in the way of developing plot. 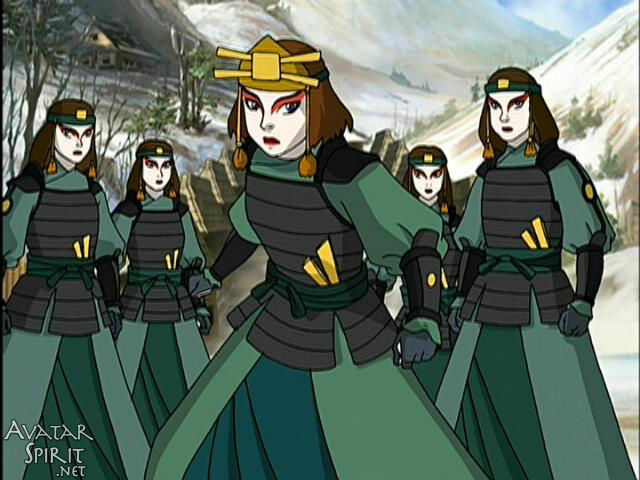 As such, Suki first appeared in the fourth episode, “The Kyoshi Warriors,” at a time in the show’s arc when all she could do was be a romantic interest for a single episode. However, like many of the characters that seemed to be only important for a single episode, she later returned as a deeper character to represent a much more important part of the series. After being absent for more than a season, Suki rejoined the group for their travels to Ba Sing Se. This is when she truly became a fleshed-out character. She would continue become even more important to the plot later, when she was captured while attempting to rescue Appa and Azula impersonated her in order to creep into the Earth Kingdom. 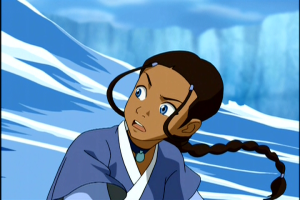 She would also proved essential in helping Sokka rescue his father from the Boiling Rock. There’s no question this seemingly one-shot character evolved into a truly essential team member, representing the depth of character development Avatar accomplished. But perhaps the most compelling thing about Suki is that this disciplined, no-nonsense warrior fell for resident goofball Sokka. Of all the spiritual elements in Avatar, the unlikely bonds between people who seem to be opposites is perhaps the most mysterious. Rebekah says: A fluffy character fully able to kick tail, Ty Lee is full of surprises. At first glance she’s nothing more than a circus performer. She’s sweet, friendly, a little naive, and trying to pursue her own dreams. But then the Fire Lord’s daughter recruits her services, and check it out, Ty Lee can render any fighter immobile with a few quick chi blocking hits, all the while beaming her pink-aura smile. That in itself makes her enjoyable to watch, but the overarching story takes her character a little deeper. She fears same-ness and blending in. She struggles when her friendship with Azula takes her places she doesn’t want to go, and eventually makes the tough choice to abandon one friend in favor of another. She tries, in her own sparkly way, to help people open up about their feelings, regardless of the death glares coming her way. And, if all else fails, she can pummel them into submission and cartwheel away. I would still think he was funny if he was left off there. But then we see him again. And again. And with each encounter, the gag builds further, and he becomes a more and more essential side character. It seems that our cabbage salesman is doomed to travel around the Earth Kingdom, following a similar path to the Avatar, losing his cabbages at every turn. It’s the comedic gift that keeps on giving. 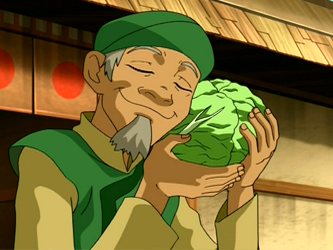 The cabbage salesman would seem to be a one-dimensional character who constantly repeats the same stupid joke, and yet he meaningfully is able to contribute to the story and world of Avatar. He demonstrates the harshness of the immigration officers of Ba Sing Se (a scene which contains my favorite still-frame joke in the show: an illegal cabbage slug flies across the screen, the very reason cabbages were not allowed to be imported into the city). Brian says: In a show with so many deep, well-rounded characters, it’s kind of a shame that the most central “bad guys” are comparatively shallow. Fire Lord (and, briefly, “Phoenix King”) Ozai is little more than a cackling embodiment of evil. It bugs me that, at various points in the show, we get insight into the character of several generations of the Fire Family – with a fair bit about Sozin’s motivation, and even a bit of Azulon’s – and yet we never really learn that much about our biggest, baddest villain. For me, Azula ranks here primarily for being more compelling than her old man. We learn much more about the forces driving Azula to do evil. Although it’s hinted that she has had sadistic, sociopathic tendencies almost since birth, it seems that a lot of Azula’s problems stem from parental neglect. Because Ursa, her mother, doted on Zuko, Azula sought her father’s approval instead. But since her father was a cartoonishly evil megalomaniac, this didn’t work out too well, either. She has trouble both showing and accepting love, sending her ever further down the road to nastiness and mental instability. In comparison to her dear old dad, Azula’s not just “evil.” She’s also sad, jealous, isolated, and insecure…and that makes her much more interesting. Oh, and she gets one of the series’ best lines, and maybe the best pickup line of all time. Screw Chan. It would’ve worked on me. Rebekah says: Part of Avatar’s core group of characters, Katara can be easy to pass over simply because she’s always there. But—let’s think about this—she’s always there. From the beginning of the series, water-bender Katara demonstrates a level of maturity that the other characters take whole seasons to live up to. (Except maybe for that weird sock-washing incident right at the beginning. What’s with that?) If someone needs her healing skills, she’s there. Or, if somebody needs her to wade in and slaughter the badguys with amazing waterbending skills, she’s on it. She’s a “glue character”—a character who is interesting in their own right, but focuses on keeping the other characters connected and functioning, even if it means she has to step into the background sometime to let others shine. Sounds perfect, yes? Well, thankfully the writers didn’t leave her at that. Katara is no token female lead. 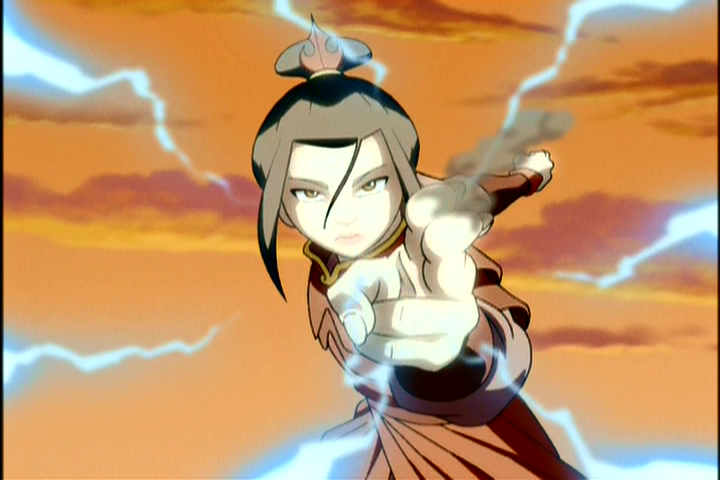 She has plenty of control issues, and she struggles with her own maturity level time and time again, like when she offers to teach Aang waterbending and gets upstaged, or when her desire for revenge leads her to bloodbending and almost killing her mother’s murderer. 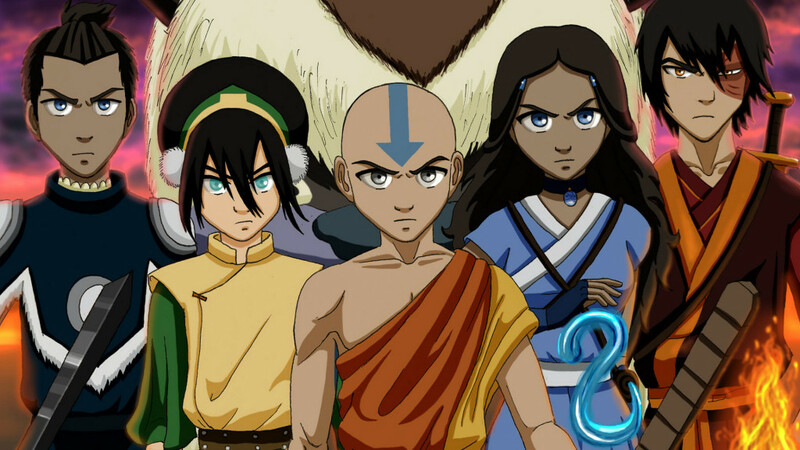 Throughout the course of the series, Katara wrestles with an impressive array of very real conflicts. 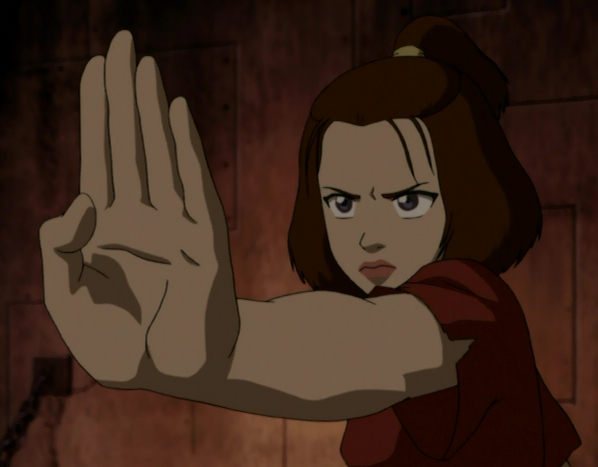 Sometimes by avoiding them, sometimes by tackling them head on, but always with her own Katara style. Dan says: Sokka gets Avatar‘s funniest lines and scenes. Chances are that your favorite quote from the show belongs to Sokka. (Personally, I’m partial to “It’s the quenchiest!” and “Flameo, sir, flameo.”) He’s one of TV’s greatest comic relief characters: never so ridiculous that you tune him out, yet always bringing levity and wit to the daily hijinks. In short, Sokka is something of a marvel: A warrior who lacks intimidating characteristics yet refuses to yield to underdog sympathy. He’ll make you laugh and smile, sure. He’ll also remind you that Avatar‘s world doesn’t operate solely on bending, but on ingenuity and hard work. Katy says: What can I say? Toph rocks. I love her origin story. It would have been easy to take the character of a young, blind girl who masters earthbending in the face of adversity, and made her sappy, or self-righteous, or sigh-worthily perfect. But that’s not what the writers did with Toph. She’s fiercely independent, bitingly sarcastic, and very much aware of and in control of her own strength. Toph is always present in the scenes she inhabits – she’s always a master of her surroundings, even when she’s in the background. This is one powerful bender. If you ignore Mr. Avatar and his four-element advantage, she’s probably the most powerful bender we meet. She literally expands the known boundaries of bending, actually inventing metalbending to escape a prison on wheels. Badass. This is not to say that she’s a one-dimensional powerhouse. 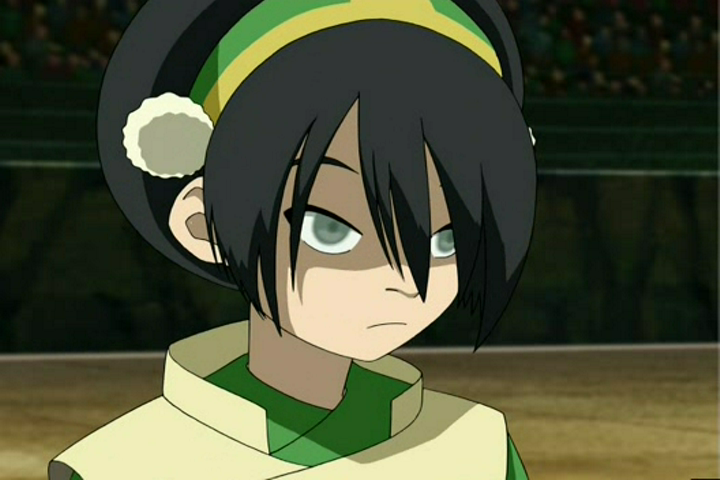 No, Toph’s dry humor is not born solely from her strength, nor is she derisive simply due to her better bending skills. After all, she ran away from home to escape an overprotective childhood. Even among Team Avatar, she often feels alone. 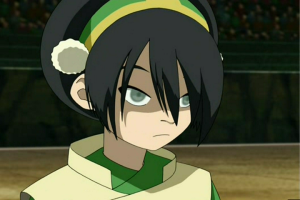 I like when she shows softer sides with a crush on Sokka, or when she meets Uncle Iroh in “The Chase.” But, of course, my favorite Toph moments are still those where she wraps somebody in rock and snarks their ears off. One moment I feel compelled to point out is in “The Ember Island Players” – the weird meta play they all go see – in which Toph so enjoys the depiction of herself as a large, muscular guy (a reference to an early design for her character.) Toph delights in her strength, as always. Try harder, why aren’t you trying harder?! Try to always save the day, but be casual about it. Don’t care what anyone thinks of you. Actually, find other people’s low expectations of you amusing, so that when you blow them out of the water, you can laugh. When they deserve it, ridicule your enemies. When they deserve it, ridicule your friends. Break the rules, if that’s what you need to do to reach your goals. Or if it seems fun. Will says: To prepare for writing about Aang, I watched a series of animated music videos (AMVs) on YouTube. AMVs are often used to convey YouTubers’ emotional perspective on some facet of a show. Watching a few of these, it’s easy to get an insight on the different perspectives of Aang as a character: grief-stricken Aang, lovestruck Aang, Aang the comedian, Aang the bending badass. The list goes on. From watching these AMVs, it was pretty clear exactly how dynamic Aang as a character is. It’s rare that a character can send us from holding back tears to holding back laughs so quickly, so effectively. It’s rare that a character, who just sent chills down your spine from the sheer intimidating power, can, in the very next moment, make you sympathize with his moral dilemma. Aang does all of these things. Aang‘s development as a character and bender is what makes Avatar: The Last Airbender so good. Of course, even without a strong main character, Avatar could have survived off of the moral development of Zuko or the witty quips of Sokka, but without Aang, the show would have lost its charm. From his first request to go penguin sledding to his final duel with the Phoenix King, Aang never fails to entertain as a character. Dan says: The show is called The Last Airbender, but it could just as well be called The Banished Prince. Zuko’s journey is as much at the heart of Avatar‘s arc as Aang’s is… possibly moreso. 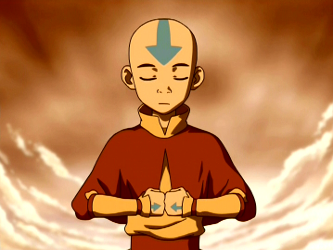 While Aang is a paragon of chipper optimism and altruism, relentless in his pusuit of a “good” that is obvious to him and the viewer, Zuko struggles time and again to choose the right path. He’s a character I find much more empathetic than Aang. Set up initially as the antagonist, a crazed outcast hell-bent on stopping the Avatar, Zuko’s depth gradually emerges. The turning point is definitely “The Storm,” one of the show’s all-time best episodes. We learn that Zuko’s obsession with Aang is not megalomania or power thirst, but an attempt to regain the approval of his father and restore his place in the royal line. In short, Zuko’s greatest desire is to be one with his family and nation — which is, ironically, one of the values Aang and crew fight for. Zuko’s eternal pursuit of — and evolving notion of — “redemption” provide a complex moral base for the show. It’s difficult to think of another show (this side of the great AMC and HBO dramas) that would invest so much into a character’s gradual growth. When he finally denies his father in “Day of Black Sun,” it’s perhaps the biggest victory in the entire show because it’s taken so long to achieve. The show transforms Zuko’s angst into tremendous pathos… and occasional comedy. 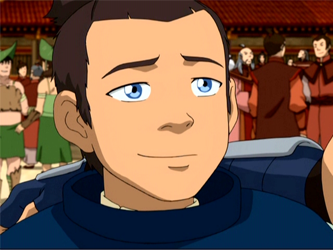 He has the show’s most heartbreaking moments: shouting to a thunderstorm that it’s “never held back before” as he futilely attempts to learn lightning redirection in “Bitter Work”; gaining then losing the trust of a young boy in the show’s best-ever episode, “Zuko Alone”; and betraying the heroes in “Crossroad of Destiny.” He also has some of its funniest: dramatically ripping his shirt off in “The Beach” and calling tea “hot leaf juice” to his uncle’s dismay. Brian says: I first stumbled upon Avatar: The Last Airbender while channel-surfing. The first episode I ever watched through to the end was “Tales of Ba Sing Se.” And, as any fan will tell you, what an ending it was. Iroh merits a place in the “wise man” archetype pantheon, alongside the likes of Yoda, Mr. Miyagi, and Master Splinter (the last of whom was another of voice actor Mako’s final roles). Iroh gets many of the show’s most memorable lines, and can seemingly do no wrong. We occasionally see him sad or disappointed, but never angry. He exists as a near-boundless force of positive energy, cheering and enlightening everyone he encounters. And as Dan pointed out in our podcast, Iroh’s aura of awesome extends even beyond the “silly wise man” cliches. The same spiritual strength which fuels his quote-spouting also makes him an indomitable fighter. He can straight up BREATHE FIRE, and eventually even forges his pot-belly into iron abs via a Rocky-grade training montage in prison. But it’s in “Tales of Ba Sing Se” that we most strongly connect with Iroh on a personal level. The larger-than-life positivity is there: He soothes a crying child, helps a mugger turn his life around, etc. But in the heart-wrenching final moments (off the top of my head, I can’t think of another moment of television which makes me tear up so consistently), we learn how deeply Iroh was influenced by the loss of his son in the war. It explains so much about his character, from his paternal tenderness toward his nephew to his lack of militant zeal compared to his relatives. And, once again, it makes me wish we could learn more about the era of Fire Family history most conspicuously absent from the show: the youth of Iroh and Ozai. What was their relationship like? How did they relate with their father? How enthusiastically did Iroh (a general, remember) embrace the Fire Nation’s mission of conquest? Of all the possibilities raised in the series, I’m most curious about what might have happened had Iroh’s son survived. If Iroh’s interminable siege of Ba Sing Se (similar to the real-life battle of Stalingrad) had actually succeeded, the Fire Nation could have won the war. And what then? Iroh returns triumphant; his scheming brother never steals his birthright. Imagine Fire Lord Iroh, reigning across the world. How bad would such a world really be? If it meant tea and wise proverbs for all, I’d be on board. The fact that we can ponder such in-depth questions even years later demonstrates just how engrossing a story world Michael Dante DiMartino and Bryan Konietzko created. The show really is more like a great novel than just about any other television series I can name. The various cultures, and the limitless time periods allowed by the ever-reincarnating Avatar, provide an ample playground for further exploration, canon and non-canon alike. Rebekah is an up-and-coming author with a passion for story. Her first novel, A Twist of Fae, is available now on Amazon. I’m still baffled that anyone could NOT put Zuko as the number 1 character on their list. Iroh is fantastic, but he doesn’t present the level of development Zuko does. I think they’re both #1 in different metrics. 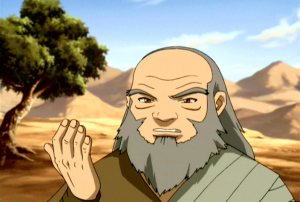 Iroh (who I voted #2) is the soothing presence, full of heart, fun to watch, best voice acting in the series — just makes every scene instantly great, no matter what. #1 for character presence. 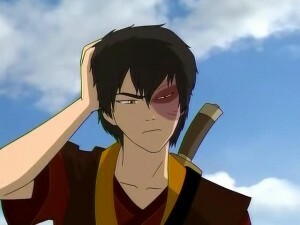 But Zuko (who I voted #1) is #1 from the perspective of character growth and storytelling. I already pointed out all the reasons why in my paragraph. WHAT HAPPENED TO YUE??? WHY IS SHE NOT ON HERE?? ?